This page is dedicated to the men and women who have chosen to use their musical gifts to bring hope to others awaiting a lifesaving transplant. 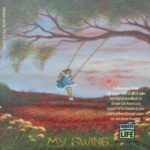 Proceeds from each album sold by these musicians directly benefits Donate Life America and the work we do to increase the number of registered organ, eye and tissue donors who save and heal lives. Laura Michelle’s passion for music began in pre-school. By middle school, she knew her love of singing was a path she had to follow. Her first album, “Novel With No End”, was released in 2016, with the title song being dedicated to her father who received a life-saving heart transplant when she wasn’t quite 2 years old. She has a fan base of over 330,000, and has received over 24 million YouTube views from people in 13 countries and on 5 different continents. Laura has caught the attention of the press with rave reviews, and has performed at Hollywood’s hottest clubs and L.A.’s landmark venues. Her irresistibly quirky viral hit “Chuck Norris”, which guest starred the legend himself, is a witty commentary on the song’s central message of finding the core strength that lies within each of us. The song “Chuck Norris” and its video were based on Laura’s real life experience of having to find her own inner strength, her own “Chuck Norris”. Having experienced the miracle of her father receiving a heart transplant and then having him pass 14 years later while awaiting a kidney and liver transplant, Laura knows firsthand the necessity of the mission of Donate Life America. She is honored to have been recently named Donate Life America’s first National VOICE. 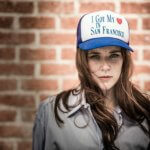 “Laura Michelle’s passion for the Donate Life mission can be felt in her song and storytelling. Donate Life America is excited to work with Laura Michelle and her incredible fans to reach new audiences and save more lives”, shares Donate Life President & CEO David Fleming. All proceeds from her latest single “Novel With No End” are being donated to Donate Life America. Laura also encourages everyone to register as an organ, eye and tissue donor at DonateLife.net/Laura-Michelle. Laura is currently in the studio writing and recording songs for her follow-up album to be released in 2018. For more information, visit www.lauramichelle.com. John Tracy partnered with Donate Life America out of a desire to use his musical talents to help spread awareness for organ, eye and tissue donation. A registered donor himself, John believes that being a donor is truly the greatest way to leave a lasting legacy. It is fitting, then, that John’s music is all about family, life, love and the human journey. John will be contributing $5 from each album sold, as well as 25% of digital download sales from his online store and live events directly to DLA. 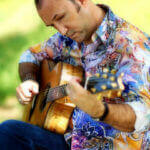 Learn more about John Tracy and his music here. Tori Knight Ferguson’s mother, Janet McCormick Harrington, was diagnosed in 1985 with primary biliary cirrhosis of the liver. By 1991, Harrington was told she had six months to live. Thanks to the selfless act of a donor and a lifesaving transplant that year, mother and daughter were given 21 additional years of life together. As a tribute, Ferguson worked with local musicians to turn her mother’s poetry into songs, thus creating the album, My Swing. Ferguson’s appreciation of the gift of life is what inspired her to contribute fifty percent of the sales from this album to Donate Life America. Hear My Swing and learn more about Tori and her mother Janet here. You can digitally download My Swing and How Beautiful Heaven Must Be. 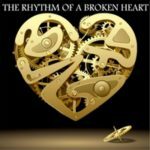 Joel wrote his album Rhythm of a Broken Heart while awaiting a heart transplant in Houston, TX, as a way to pass the time and thank and recognize everyone in his life who has been supporting him throughout his illness. One hundred percent of proceeds from sales of the album benefit Donate Life America. Learn more about Joel’s story by clicking here.